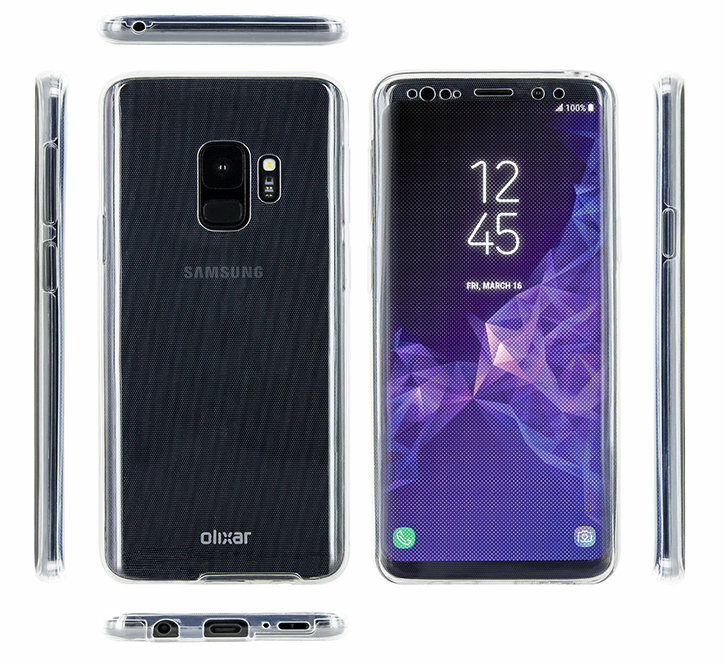 Taking all the finest points of the FlexiShield cases and adding screen protection, the FlexiCover is the most protective Gel case yet seen. The case is formed from two components. 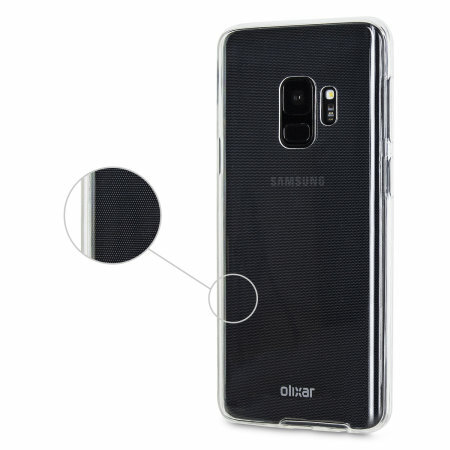 The back shell wraps around the rear and sides of the phone as a regular gel case would. The front shell then wraps around the back shell leaving only the home button and front speaker / sensor and camera open. 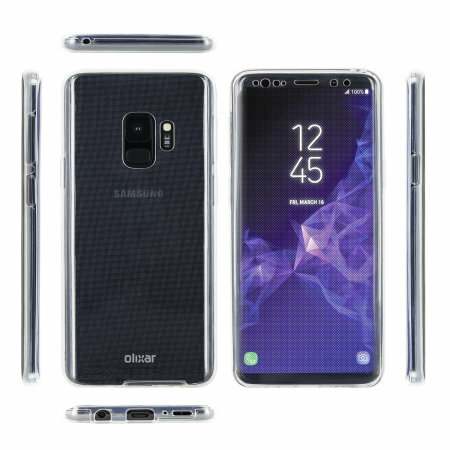 Your Galaxy S9's screen is totally usable while inside the case so you never have to remove the phone and risk damage if you do not wish to. 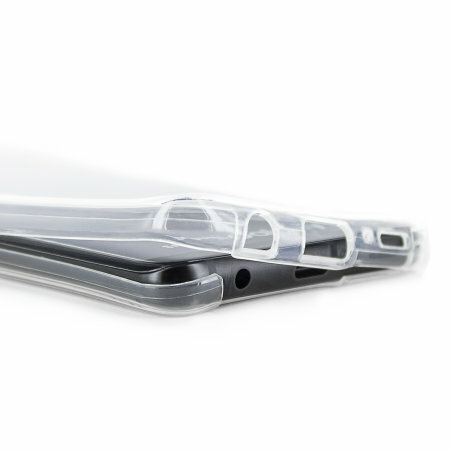 No other gel case and indeed few other cases can claim this level of functionality while encased. Well, let's face it, this is a screen protector. 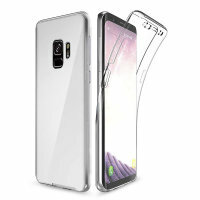 For those who want to protect their screen and not have to use flip cases or apply screen protectors, this is the best option for you. This is also very useful if your phone is in a handbag, rucksack or coat pocket with potentially sharp or abrasive items like keys or zips. 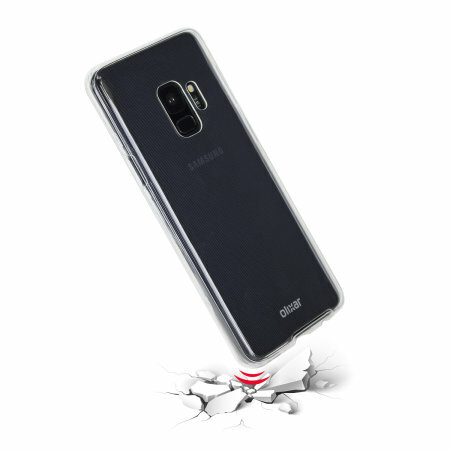 Just pop your FlexiCover encased Samsung Galaxy S9 where you need it to be and relax. It's safe and scratch-free. 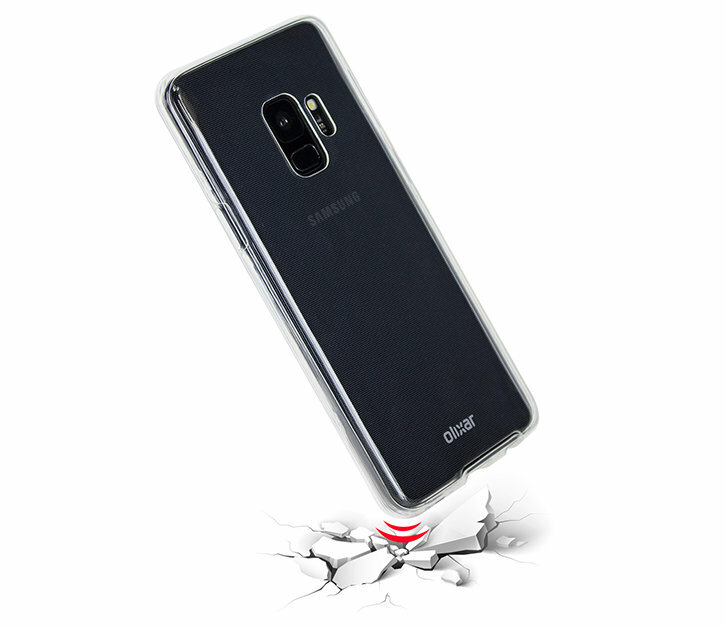 Each FlexiCover case is made from a special strong and durable gel material, which makes it flexible like silicone and tougher than a crystal case providing you with long lasting protection for your Samsung Galaxy S9. 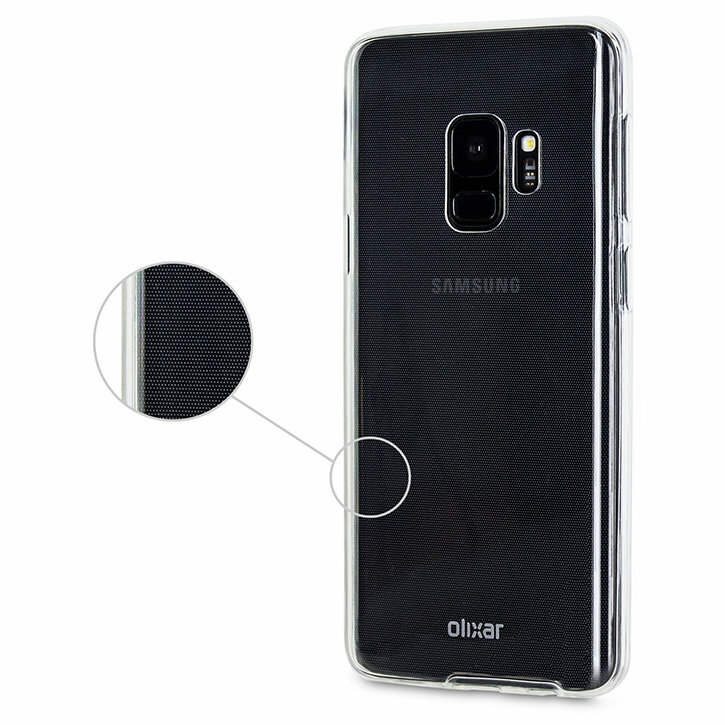 The FlexiCover case is designed to be very slim, lightweight and strong - so you can be assured that this case will add virtually no extra bulk to your Samsung Galaxy S9 so it will still fit in your pocket with ease. 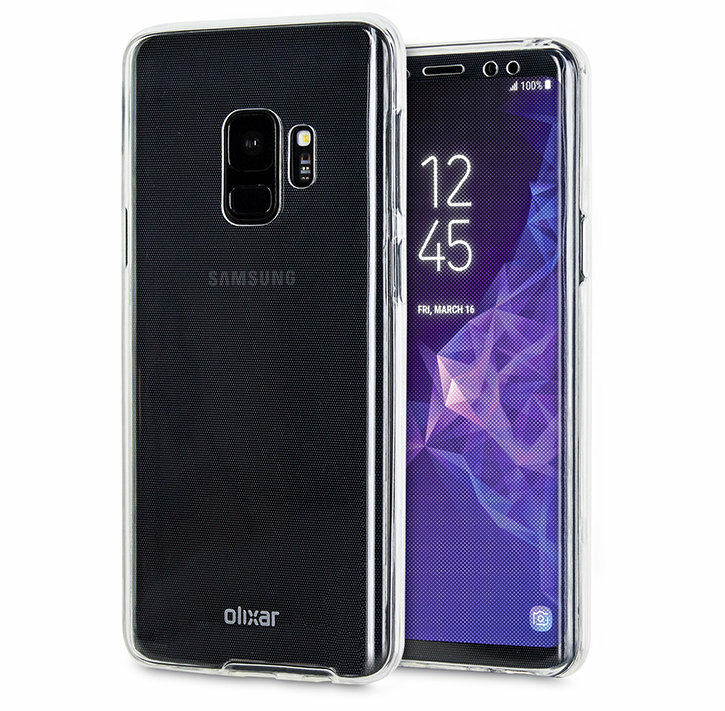 Each Olixar FlexiCover has been designed specifically for the Samsung Galaxy S9 and features cut-outs for the various ports and features such as the rear facing camera. 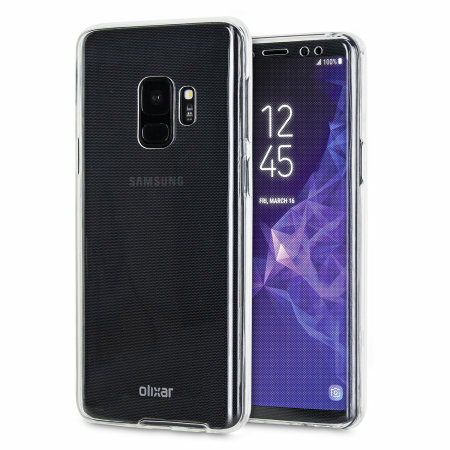 Please note - The inside of this case is covered with tiny dots to ensure "water marking" doesn't ruin the look of your Samsung Galaxy S9.